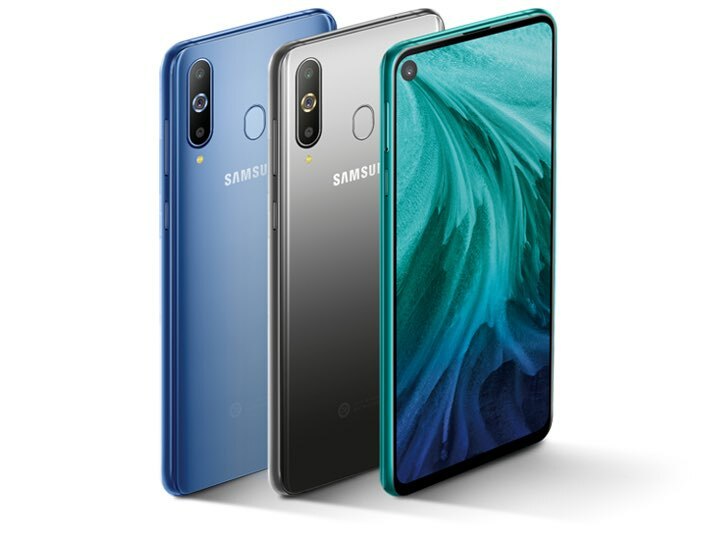 Samsung’s Galaxy A8s arrived with a hole-punch display and the upcoming Galaxy S10 should reduce the chins by putting the camera and the sensor array into a small circular cutout in the display. Apple, meanwhile, is rumored to make the notch on 2019 iPhones a bit smaller. iMore’s Rene Ritchie has created a great, informed mockup that shows some of the ways Apple could explore to make the notch, well, less notchy, including drilling holes into the display. 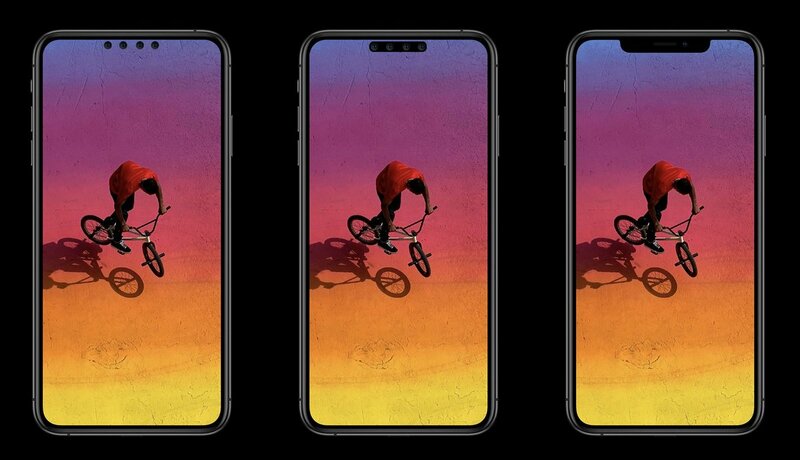 “Assuming Apple can’t get all of the TrueDepth modules under the display of this year’s iPhone, what would you prefer in 2019: more notch (right) or switch to holes (left)?”, he asked followers on Twitter (by the way, the current notch design is in the middle). But make no mistake about it, Samsung is able to get away with a punch-hole display design because it does not do facial recognition based on 3D mapping and infrared light whereas Face ID requires the infrared flood illuminator, the infrared camera and the dot projector. “I saw some of the hole phones at CES and I didn’t mind them but they were also for RGB cameras, not for TrueDepth,” Ritchie wrote in a tweet. “Samsung doesn’t have to account for a TrueDepth camera,” he summed it up nicely. The notch allows for more content to be displayed in a smaller body because you move the status bar up on either side of the notch. I prefer this approach by far! Apple is no doubt continuing on a path to a truly fullscreen iPhone and won’t rest until it gets there. According to rumors, the company has decided to get rid of the notch and in doing so would need to find ways to make the required TrueDepth sensors smaller. According to ETNews, Apple is looking into combining the Face ID sensors and cameras with the standard FaceTime camera into a single, much smaller module. As for the speaker, it could be moved to the top bezel. There’s also the question of the ambient light and proximity sensors, both of which are housed inside the iPhone notch (along with TrueDepth and FaceTime cameras, speaker and microphone). At CES 2019, thankfully, Apple’s supplier AMS announced brand new under-display technology that promises to put those two sensors behind a phone’s OLED display. Smartphone OEMs today are striving to maximize their products’ screen-to-body ratio, reducing the bezel area as much as possible on the display’s face. The TCS3701 enables designers to take this trend to a new level, potentially eliminating the bezel entirely. This is only possible because the TCS3701 can operate behind an OLED display, a breakthrough enabled by the outstanding sensitivity of the device and by the implementation of sophisticated measurement algorithms to compensate for the optical distortion caused by the OLED display. According to Reuters, AMS is the current Apple supplier that builds optical sensors for the TrueDepth camera system on the iPhone X, XS, XS Max and XR series. AMS’s tech should reduce notches a bit, if not help eliminate them entirely. Of course, not everyone is fond of the current iPhone design. We may have gotten used to it, but that awkward blind spot cradled by two blobs of actual screen space still looks weird. While I don’t loathe the notch, I’m all for removing it entirely or drastically reducing the amount of screen real estate it’s taking up. If you were Apple, how would you make the iPhone notch less notchy?